Alexis McLean created a unique mixed media painting for each letter she received in response to her call for Dearest. Minna Jain matches letters with the artwork they inspired for Dearest by Alexis McLean at Diane West Jewelry & Art. Think email is the be-all-end-all in written communication? Alexis McLean, through her latest work, Dearest, begs to differ. 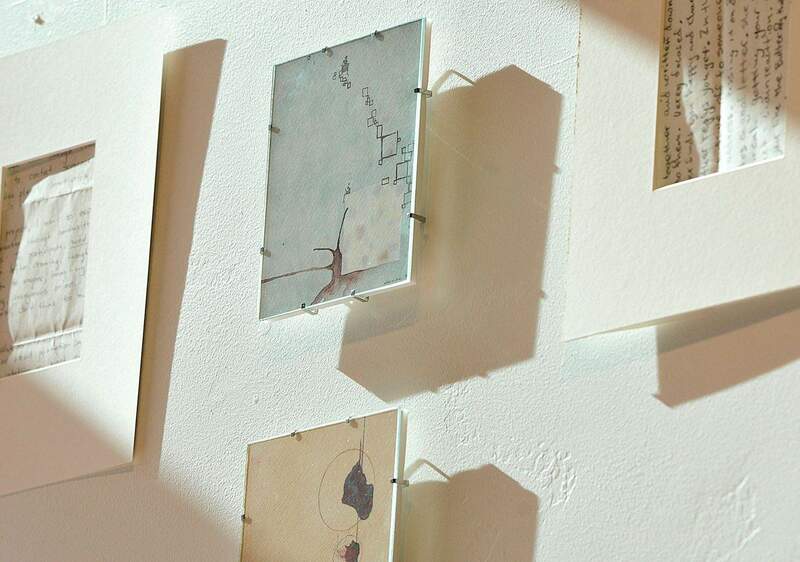 A showcase of handwritten letters on a variety of soul-baring topics, accompanied by mini-mixed-media paintings, McLeans exhibit at Diane West Jewelry & Art is sure to strike an emotional chord with viewers. McLean majored in fine arts at Washington State University and Fort Lewis College. Shes immersed herself in drawing, ceramics, painting and photography. As someone who has always made art on my own, her idea for Dearest came in the form of a vision. 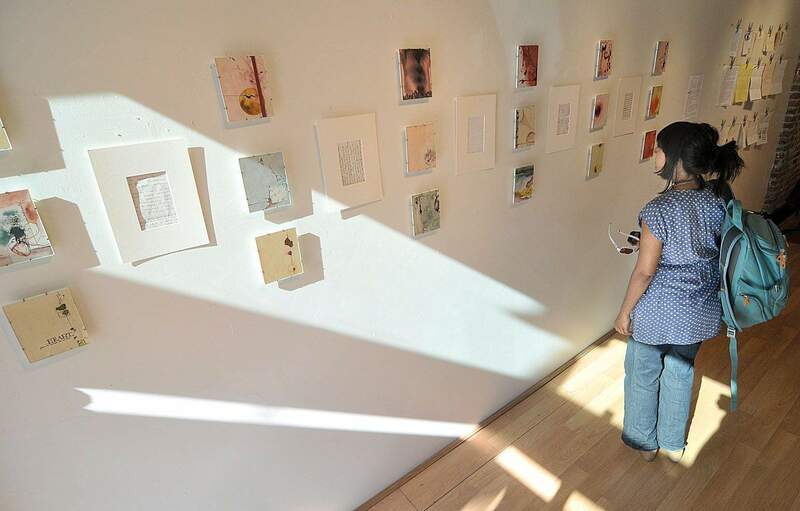 I imagined a white room with handwritten letters, evenly-spaced ... an intimate feeling, she said. Following this instinct, McLean sent letters to everyone I knew requesting handwritten letters back on any topic. Equipped with just that image and a desire to share the depth of the written word, she was thrilled when the letters began to arrive. After a year and half, they were still coming. The visual heart of this installation coincided with the letters McLean received during the last six months. With mail pouring in, she began a series of small paintings inspired by pictures of the human heart in a medical anatomy book. The heart connection for me is in both writing and receiving a letter, McLean said. While the two projects merged gradually, viewers of Dearest will be struck by the seamless accompaniment of paintings to letters, and by the variant ways in which ones heartstrings can be plucked by one installation. The paintings, neatly organized on the wall in a fluid series of heart and vein images, alternately resemble the inner workings of the body and expressionist landscapes of rolling hills and stormy skies. This blending of inner and outer imagery portrays a visceral environment that captures the essence of physical and metaphysical heart space. The letters, some framed and many pinned to the wall at the end of the installation, delve into topics as vast as the human race. A mother writes a poetic note to her unborn child. A philosophical manifesto unfolds, assuring us that we should be in the moment, but you dont want to linger. In a comical and unexpected turn, one artist writes to the imprisoned teen murderer Jean Pierre Orlewicz, telling of the painting Jean Pierre inspired and including a small printed copy. Each letter presents a personality hungry to share itself, seeking not just connection, but to reveal an individual face in the midst of many others. This, beyond human connection, is what Dearest epitomizes: the human desire to be seen, heard and understood by even one other person. Just as Dearest shares many voices, so too are there many takes on both the visual and written aspects of the exhibit. What I like is the micro/macro perspective. Alexis is really good at using negative and positive space, said Paul Pennington, McLeans former photography professor at Fort Lewis College. 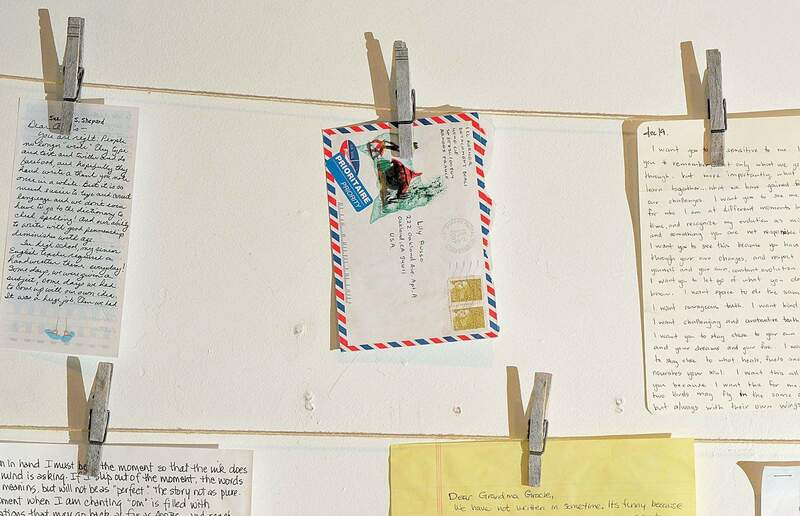 I definitely romanticize letter writing, said gallery owner Diane West. The written word is a window into the soul. Of the visual component, West identified an edginess in McLeans work that saves a piece inspired by emotion from feeling trite. After working on a piece which shares the emotions of so many people, McLean is hungry for more. I love collaborative projects, and I am so thankful for all of the participants. I may keep going with Dearest ... keep involving people and ideas and new venues, McLean said. With matters of the heart, the possibilities are endless. Chelsea Terris is a freelance writer and social media specialist. Reach her at chelseaterrisrose@hotmail.com. Dearest, a mixed-media exhibit by Alexis McLean, through June at Diane West Jewelry & Art, 934 Main Ave. For more information, call 385-4444 or visit www.alexismclean.com.